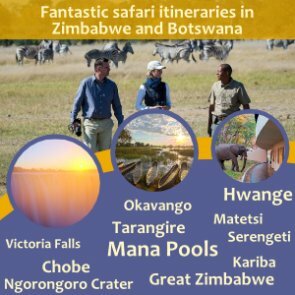 This website is focused solely on Victoria Falls and its surrounding area and includes a lot more than your average destination guide. Working on this website daily, we personally write, research and add new and interesting content, from our experiences and all that we have learnt and gathered over the years. Our totally unbiased advice, reviews and information will we hope, help you to discover all there is to know about this remarkable destination. Words cannot describe the awesome beauty and power of the Victoria Falls. We continually update the content to keep it current, as things in Zimbabwe can change quickly. We also interact constantly with our many readers who contribute to this site. We will personally answer any questions you have, although we do encourage others to participate. We can make bookings for activities and accommodation for you if needs be or create an itinerary personally designed for you, your budget and your desires. We are a Zimbabwean couple living in Victoria Falls and we love our country and its wildlife, there is just so much to do and see here. Our aim is to guide you with our local knowledge and experience on everything there is to know and do at this “Dream Come True” holiday destination… one of the seven natural wonders of the world. • Information on Where to stay and What to do… there are so many, but we try to simplify it for you. We also show you the best deals available. 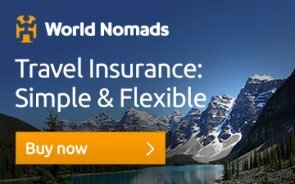 • Important Travel information like do you need a visa and how much is it ?...how to get around?...what’s the best time of year?...what’s the currency?...where to shop?... where to eat?...is it safe?... plus lots lots more. 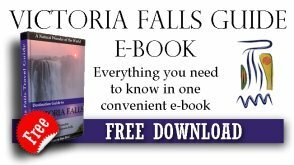 • Our very own Map of Victoria Falls is probably the most comprehensive that you will find on the web. Learn about the history and formation, as well as why they are the largest waterfall in the world on our Victoria Falls facts Page. • We also have some stunning photographs to share with you. • A 360 degree interactive panorama, which gives you a true feel of being right there. • A section you will love is the contributions from our readers… Stories and experiences from people just like you, who have been there. It’s interesting and invaluable advice. • We also have a FAQ’s section which should cover just about everything you need to know. • Learn about our Zimbabwe animals, Wildlife conservation and courageous anti poaching efforts. • Why not Share your experience with us... other readers would love to hear what you have to say! But that's just the tip of the iceberg, we have included a wealth of information about Zimbabwe and its people. From its art and culture to its history, tradition and folklore plus much more... we hope that you will find these interesting. Zimbabwe still has its challenges, which is painfully sad to see, but we hope to bring some clarity to the situation and fend off some of the bad publicity, and expose this as a safe destination of outstanding natural beauty and wonder, worthy of every traveller. Africa is a thrilling and exciting continent, filled with unsurpassed beauty and mystery, history, customs and culture, but there is a lot to know and learn so please don't do any more planning until you have been through our site... We know that it will be an invaluable guide to you on your trip!! Here is our map of Victoria Falls. You'll find all the accommodation, activities, shopping areas, places of interest, etc. that are detailed on our website. Are you looking for something and just can't find it? Just type your query into this Search Box below and that will pull up all the relevant pages on our site. This is us. We hope you find our website informative and helpful.